Oncam, the leading provider of 360-degree video capture and business intelligence technology, announced today the addition of the Evolution 180 product range to its portfolio, building upon the experience and heritage of the company's 360-degree technology. The addition of the panoramic 180-degree camera range meets the needs of customers in a variety of markets that require a purpose-built wall mounted camera with Panoramic+ views from a single sensor. Environments that benefit from this unique view include education, hospitality, casinos, banking, retail and transportation, which demand monitoring large walkways, open spaces and corridors without blind spots. “Customer demand for a dedicated high quality 180-degree technology was the driving force in the development of our latest product. They wanted a camera that was tailor made for true panoramic views. Currently, 180-degree views in the market are created with a single sensor 360-degree camera in panorama mode, which isn’t an ideal approach as it doesn’t allow the use of the full width of the sensor.” said Jon Marsh, Vice President of Product, Oncam. “This is why we’ve created the Panoramic+ view, which dictated the design of the product putting more pixels on target than any other panoramic camera. The Evolution 180 Camera range is introduced today with the Indoor model, available immediately in black or white, and a robust and attractive Outdoor model, which will be available in April. 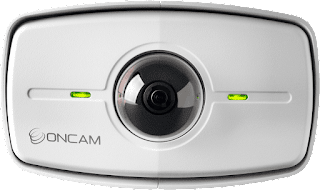 The Evolution 180 range offers a 12MP sensor and a 6MP Dewarped Panoramic Image with Oncam’s Angle Compensation Technology which provides adaptive dewarping. It is a true day/night camera which doesn't require SDK dewarping as the Panoramic+ view is created natively in the camera. The solution is ONVIF Profile S compliant for added integration flexibility with the leading video management systems on the market today.